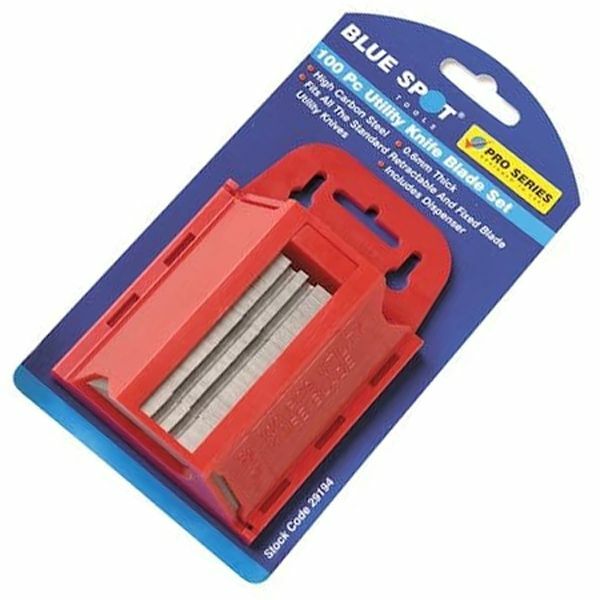 Excellent retractable utility knife from Blue Spot Tools. 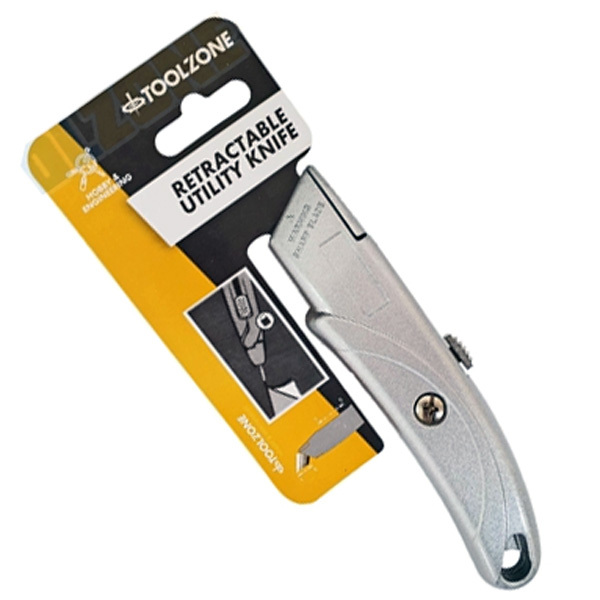 This utility knife has a zinc alloy steel handle with soft grip and belt clip. Quick blade changing mechanism. One handed open. From 158mm to 115mm. Complete with spare blades. 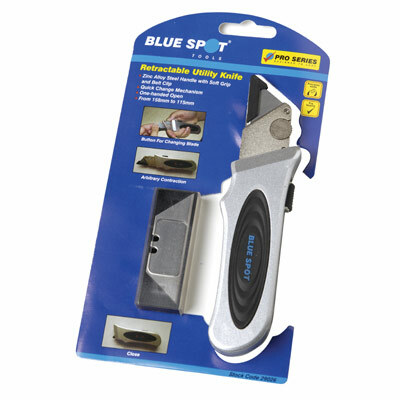 An excellent retractable utility knife from Blue Spot Tools.